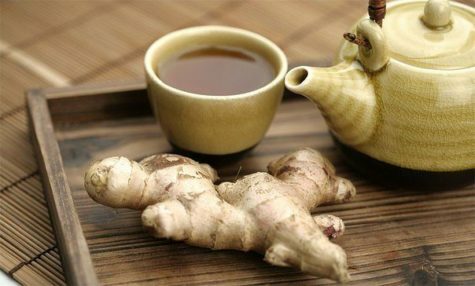 Here is a recipe for Cinnamon Turmeric Tea to flush inflammation naturally. Inflammation has been found to be the root of most diseases and ailments, so it is of high importance to fight it and thus improve overall health. The combination of cinnamon and turmeric is one of the most delicious and powerful natural ways to fight inflammation in the body. Green tea, is a rich source of polyphenols, that fight free radicals and prevent chronic diseases. Green tea regulates blood sugar, helps weight loss, fights inflammation in the gut, and lowers bad cholesterol while increasing good cholesterol. Also, it boosts liver health and the cognitive function, helps weight loss, and lowers risk of heart disease. Add the ingredients to the bottom of a French press, add hot water to about the halfway point, and leave to steep for 5 minutes. Stir once press and leave the mixture to cool. Pour the tea in a mug, and add the lemon slices. Enjoy and naturally fight inflammation in the body! In Ayurveda (one of the oldest systems of natural healing in the world), warm milk is a common remedy for sleeplessness. This recipe features nutmeg (a natural sleep aid) and ashwagandha (an adaptogen that helps your body deal with stress) to shepherd you to dreamland. Look for ashwagandha at health food stores, Indian specialty stores, or Whole Foods. Bring milk to a simmer in a small saucepan over medium-low heat. Whisk in cinnamon, turmeric, ashwagandha, cardamom, ginger, if using, and nutmeg; season with pepper. Whisk vigorously to incorporate any clumps. Add coconut oil, reduce heat to low, and continue to cook until warmed through, 5–10 minutes (the longer you go, the stronger the medicine). Remove from heat and let cool slightly. Stir in honey (you want to avoid cooking honey or you’ll destroy its healing goodness). Pour into a mug, drink warm, and climb right into bed. According to Ayurveda, chronic or excessive stress depletes a precious substance in the body called ojas. Ojas means vigor or vitality and is said to support healthy sleep, vitality, and virility cycles. In Ayurveda, there are certain foods and herbs that build ojas, and it all starts with milk. A cup of hot milk before bed sets the stage for smooth transition into sleep. 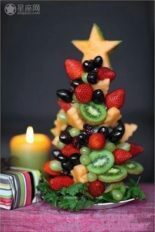 It soothes the nerves and, if you prepare it just right, it is tasty and full of nutrients. According to AyurVeda, milk is balancing to vata and pitta doshas. Boil the milk. Watch milk carefully until it boils, then let it continue to boil on low for about 5-10 minutes. Add spices (if desired). Cardamom aids in digestion and adds sweetness. 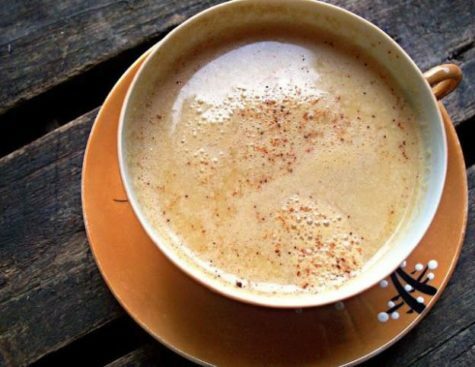 Cinnamon and ginger stimulate digestion and add a spicy kick. Vanilla flavor is also a delicious choice. Pour the milk into your mug or cup of choice. Let sit until no longer scalding. After the milk cools completely, a teaspoon of honey or maple syrup can be added for sweetness. You can also add a half teaspoon of ghee (clarified butter). Drink your milk and enjoy! Milk does increase kapha dosha, which can cause weight gain, but this effect is lessened by using 2% or skim milk in place of whole milk. 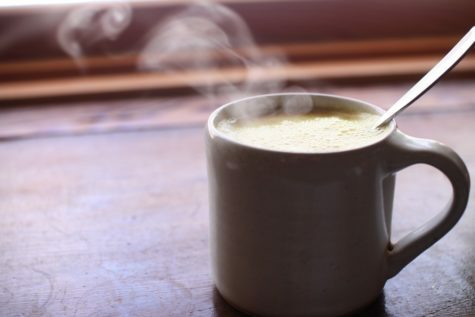 Hot milk pacifies vata dosha in the body and mind, allowing one to settle down for sleep. Tonight, try boiling a cup of milk and feel the benefits for yourself. It may take a few tries to find the exact balance of spices you enjoy, but once you discover your favorites you will have a tasty new way to unwind in the evenings. In the mood for a great baked potato while sitting around the ole camp fire? Here is a quick and easy way to make them. Remove the entire top of a soda can. Smear the whole potato with butter (and any other seasoning you like). 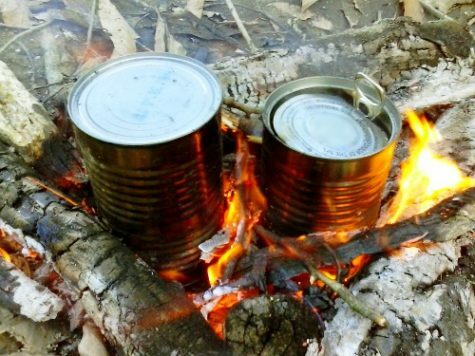 Slip the raw potato into the soda can; cover top with aluminum foil and place the can onto the hot coals of your campfire. They bake in the can just as they would in the oven! What I like about this recipe is that you don’t have the problem of the aluminum foil getting ripped or torn by the wood in the fire, which has happened to me more than once. Also, I think it would work with other veggies as well. 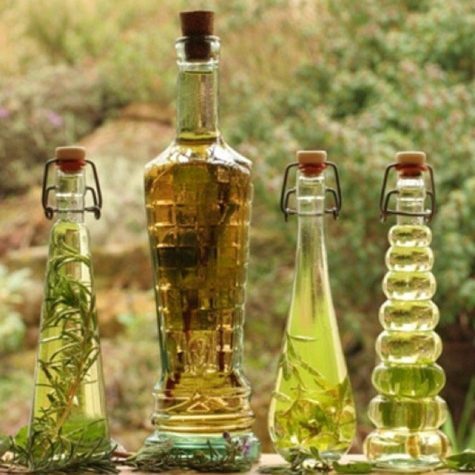 You can infuse any plant matter into vinegar to create your own funky blends! Although the preferred vinegar to use is organic apple cider you can use white or red wine vinegar too. A tip for jars is to check out second hand shops; there are some really nice bottles to be had out there! Place several plants of your choice into the bottle. Fresh (clean and free from moisture) plant matter is best to use. You can even make an onion and garlic vinegar! Seal the bottle or jar you are using. If you use a mason jar do not use the metal lid plate, use plastic because the acids can corrode the lid. Be sure to label your vinegar with what it is and the date you made it. 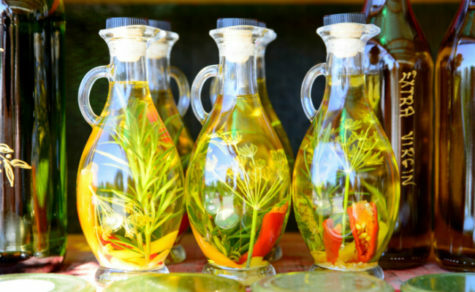 Oils infused with herbs are a great way to utilize the healing properties of plants which contain volatile oils and fats. Plants containing volatile oils are generally those commonly used in aromatherapy but they can be used as a salad oil too. Aromatic plants such as lavender, rosemary, thyme, sage, peppermint, chamomile, rose, yarrow, juniper and pine all make great oils. You can use a variety of different oils as the base for the infusion. Olive oil is classic for the leafy herbs, sunflower, sweet almond, jojoba, or apricot oil all make a great base for creams and salves. You can use dried or fresh plant material, although fresh is generally best (except calendula-dry). If using fresh herbs, pick them on a dry day after the sun has dried the morning dew. Make sure you pick clean plant matter; this is particularly important as you are not going to wash the plants. It must be as dry as possible to prevent spoilage, if there is any dirt brush it off with a soft-bristle brush or simply shake. If using leaves such as comfrey or plantain, it’s good to let them wilt overnight to reduce some of the water content but flowers are best used fresh. Chop fresh leafy herbs finely and lightly fill a sterilized, dry jar with the material. It’s important to cut the herb first as it exposes more of the plant to the oil, making for a better infusion. 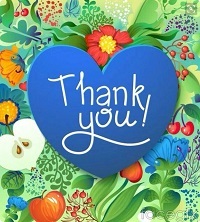 Flowers can be put in whole and dried herbs will most likely come already cut. Fill the jar almost to the brim with oil because an air gap will promote oxidation and spoilage. Stir the contents with a wooden chopstick until all air bubbles have dispersed then place lid on. You can leave it to infuse on a sunny windowsill or in indirect light. Stir every day for the first two weeks then leave to infuse for another two to four, that’s four to six weeks in total. Calendula and some other oils are nice to double infuse- leave for 3 weeks, strain, then fill the jar with fresh flowers and pour the partially infused oil back on top and repeat the process. Don’t forget to label your jars so you remember when to strain them. Strain through a sieve covered in cheesecloth or a jelly bag. If you used fresh material it is wise to let it stand for a week and check if any water has settled in the bottom of the jar. If so pour off the oil and discard the water. Bottle the infused oil and be sure to label it including the best before date of the oil from the original bottle. The standard way to make an herbal tea is to pour slightly cooled boiled water over the material to be infused, let it stand for 5 minutes, strain it, and drink it. You can let it stand longer if you want stronger flavor. You can save the strained plant material for another cup of tea because as long as you get taste and color – it’s still good to use. The reason why boiled water should be allowed to cool for 5 minutes before pouring it on the plant material is because boiled water can harm the nutrient levels. In particular, vitamin C is denatured at 158° Fahrenheit or 70° Celsius. The same goes for cooking foods containing vitamin C.
When a recipe refers to fresh plant material to be used, a 1/8 cup fresh material is typically used in a large mug, (or a few leaves), following the method above. 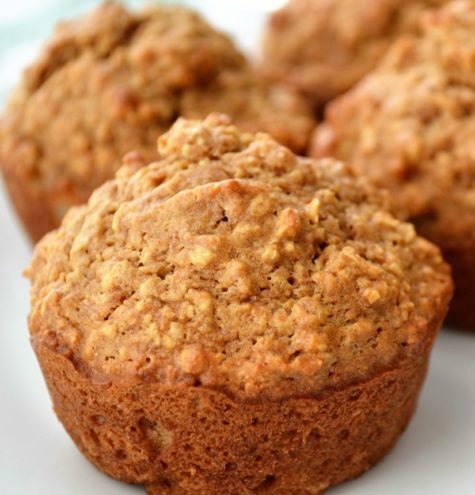 When a recipe refers to using dried material, use 2 teaspoons of material when making it. 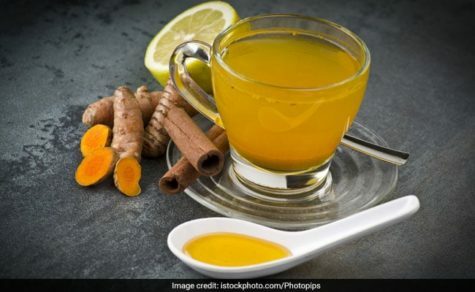 You could sweeten your nourishing herbal drink with honey or cane sugar should you so require, and a dash of fresh lemon juice may also enhance the taste. If you are unfamiliar with pine powder, it’s very simple to make, here’s a link: Pine Powder. Preheat oven to 375 degrees. Grease muffin tins. Combine the first 6 ingredients. Add egg, butter and milk then stir until the flour is moistened. Fill muffin cups 3/4 full. Bake 20 minutes or until an inserted knife comes out clean. 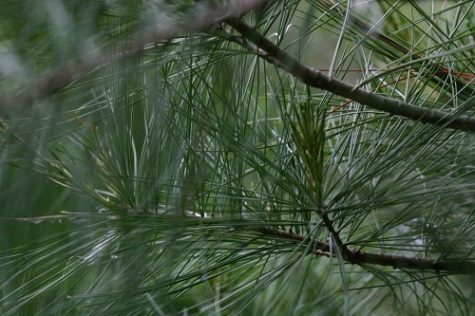 Pine needles are full of vitamin C, and have an interesting flavor. They can be powdered and added as a dry ingredient in cookie and other recipes. Here’s how:. Collect pine needles (still on the branches) and hang them in your home to dry (choose a dry area of your home). After 2-3 weeks (depending on moisture levels in your home) remove the needles from the branches (it is OK if little bits of branches get into the needles). Place the needles into a good quality coffee grinder or mixer and grind into powder!